Stone Arch Books, 9781496531469, 128pp. As a superhero, Ellie can stop almost any foe -- except for boredom. 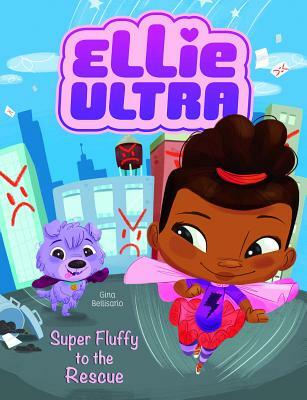 When all her friends are busy, Ellie has a brilliant idea: she'll use her parents' lastest invention -- the Ultra Animator -- to bring Super Fluffy, her favorite stuffed animal, to life. But when the Ultra Animator also animates Doomsday, the super-villain from Ellie's favorite comic book, she has bigger problems to deal with. Can Ellie save Winkopolis from destruction, or does this spell D-O-O-M for her hometown?